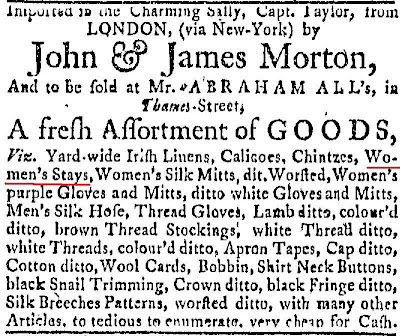 During the 18th century where in my town--Newport, Rhode Island--were the staymakers based? Knowing that Newport was the fifth wealthiest seaport in the American colonies, and over half of the city's population was female, there must have been men working here. Upon searching The Newport Mercury, I found several ads that helped scratch my curious itch. 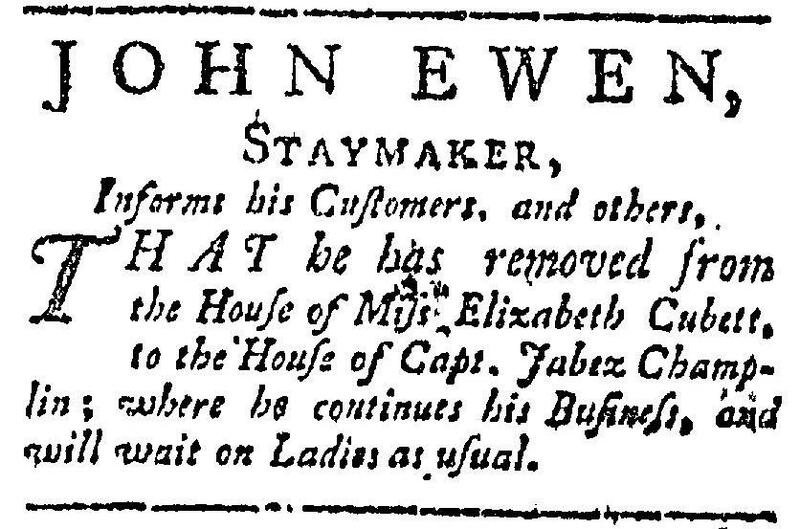 Dated 7 February 1763. 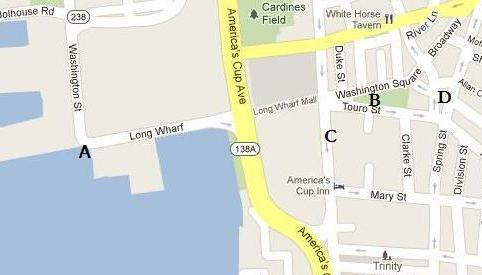 Note that Mr. Burditt's shop is "in Thames Street" near the Parade. 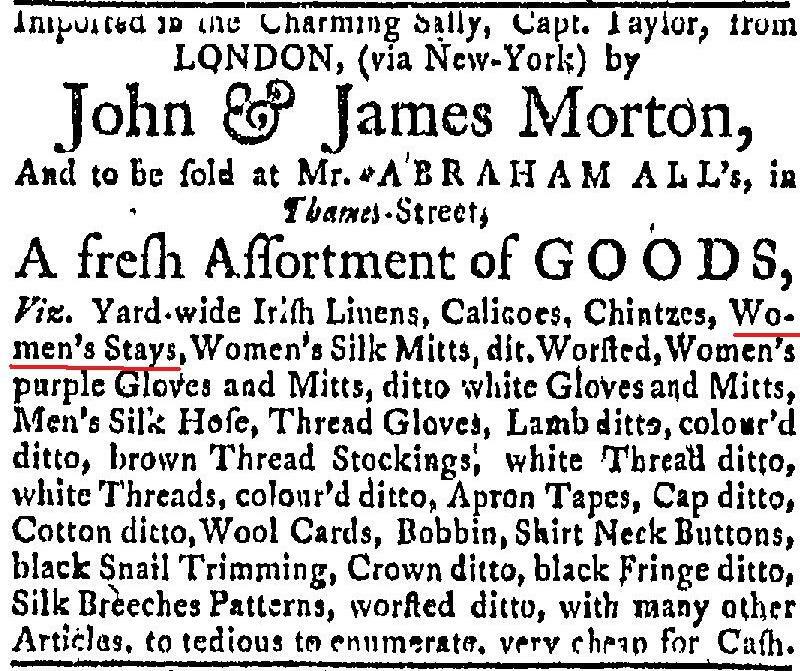 While the Morton's and Mr. All are not staymakers, they appear to be selling ready made stays. Again note that Mr. All's shop is also"in Thames Street." 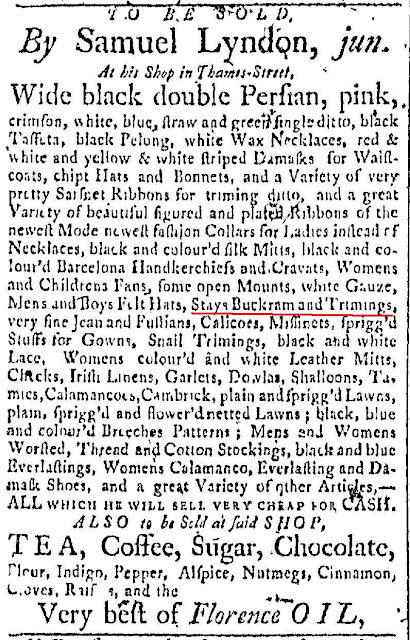 Mr. Lyden's shop offers the supplies buckram and trimings. And yet another shop "in Thames Street." If you're not familiar with Newport's landscape, where is Thames Street? Image kindly borrowed from Google Maps. Thames Street (labeled as C in the map above,) is Newport's main shopping street and is steps from where these businesses were located. "The Parade" mentioned in the 1763 ad was the town's center in the 18th century. (It's labeled as B on the map.) In the colonial era this location was also known as The Mall, but today it's called Washington Square. This particular ad required that I call upon the expert sleuthing skills of the city's historical society. While we weren't able to determine the location of Mrs. Cubett's home or the house for this particular member of the Champlin family, the research librarian helped me determine that Elizabeth's full name was Elizabeth Wanton Slocum Cubit (b. 1700). She was the daughter of Gov. 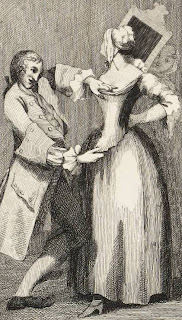 John Wanton which makes her the first cousin, twice removed of the young woman I portray Mary "Polly" Wanton Lyman (b.1763)--though they were not very close in family or social circles. Interestingly Elizabeth was thrown out of the Friends Meeting for marrying Mr. Cubett. 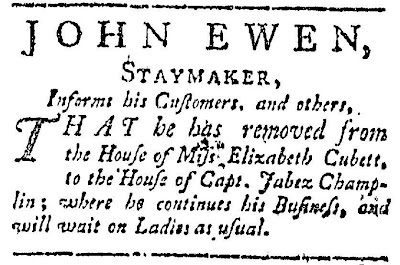 But back to our staymaker, John Ewen (possibly also spelled Ewing or Ewen) might have been a foreign itinerant merchant. 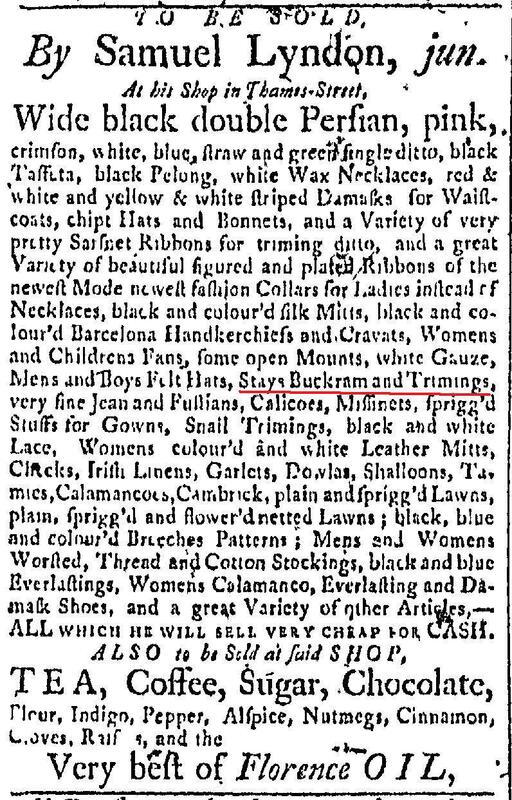 And the last ad, from 1828, fittingly (no pun intended) sums up the staymaker's career.